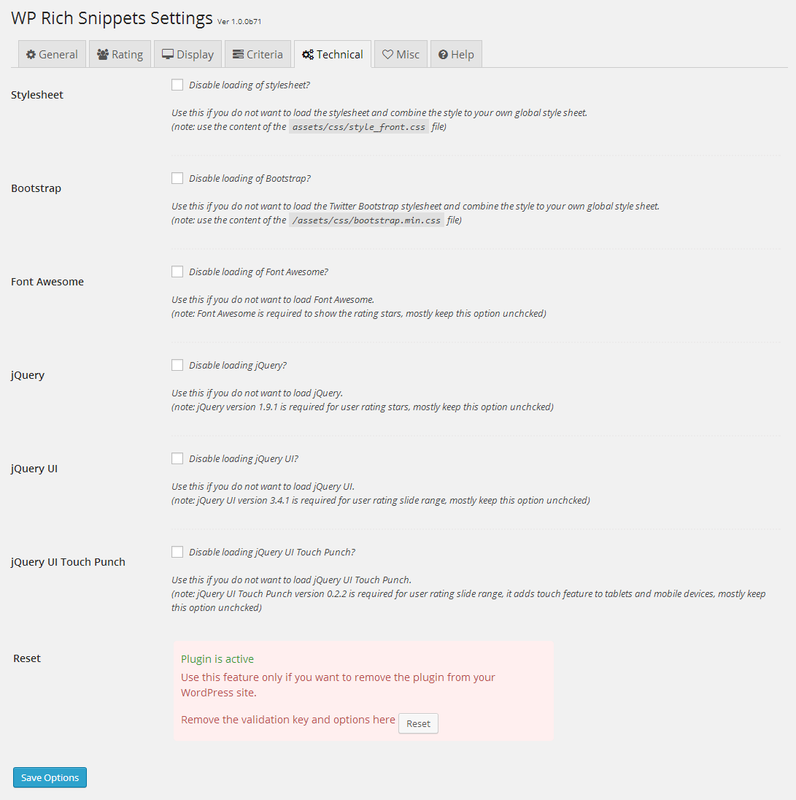 Here is overview of the WPRichSnippets plugin settings page. This page will walk you though configuring the plugin. 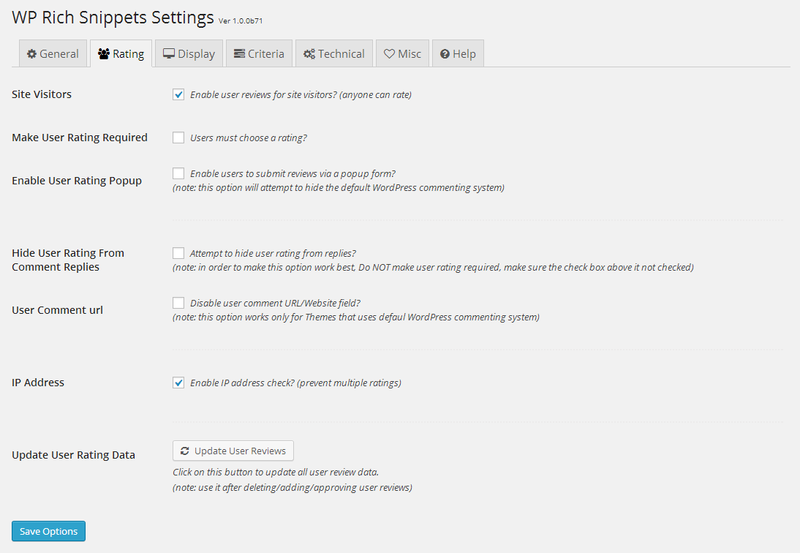 Under the General Settings tab, you will find Currency, Custom Post Types, Disclaimer and Link Target settings. The most important part here is the Custom Post Types, it’s highly recommended to create Custom Post Types for your content, this will help you organize your website content. 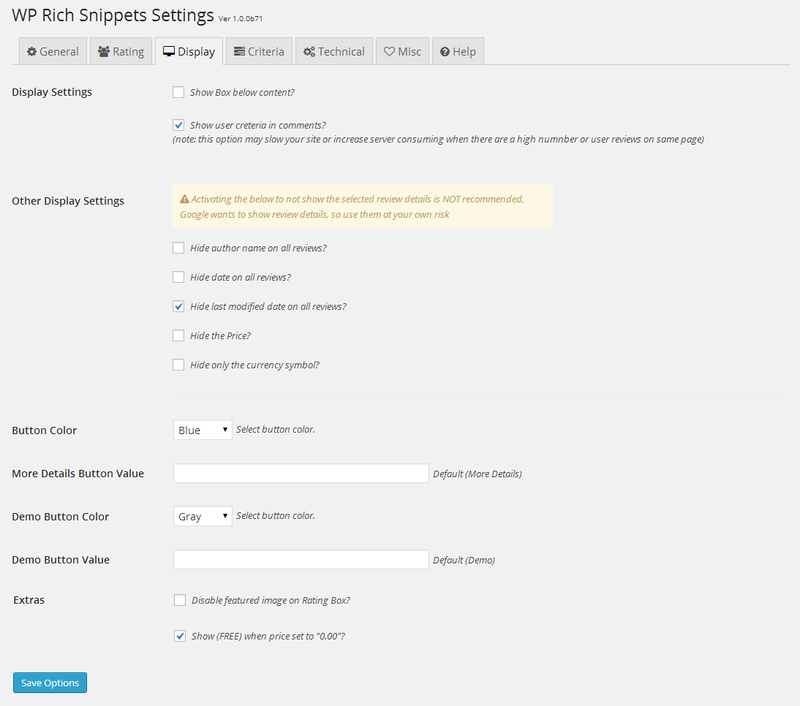 You can use a plugin like Types to create those types, then you can choose which Custom Post Types to enable the plugin on, this will enable the Rich Snippets post meta box so that you can fill markups details within your page editor. 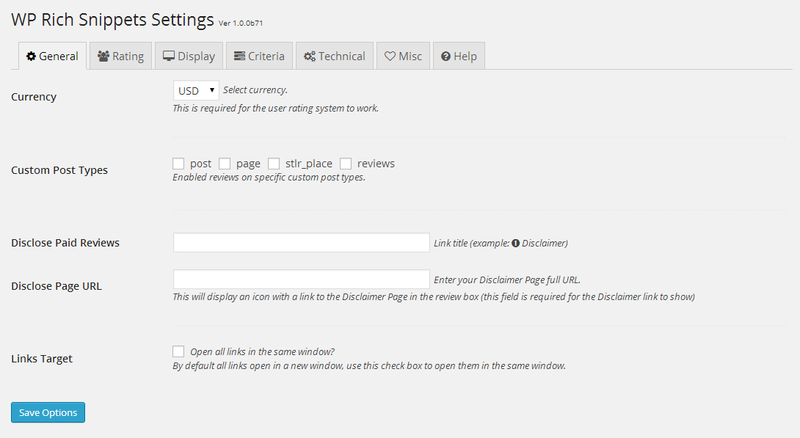 This is a critical part of the WP Rich Snippets plugin settings, it’s where you configure all rating settings. We’ve tried to include notes and a description when needed to make things clear. One very important thing to know about the WP Rich Snippets plugin is that user reviews functionality depends on the WordPress default commenting system, so comments must be open. Sometimes when deleting/editing user reviews, you will need to update all user reviews on your website, you can use the Update User Reviews button for that purpose. There are several Display Settings to control how the Box looks like and which elements to show, however it’s highly recommended to display all elements on your page and make visible for readers (hiding elements is against Google’s guidelines). The Criteria Settings allows you to save time by setting a default set of criteria fields to be used within your reviews. Use the drag and drop functionality to create unlimited number of criteria fields. Once you enable the criteria fields it will show within each new review you are creating. 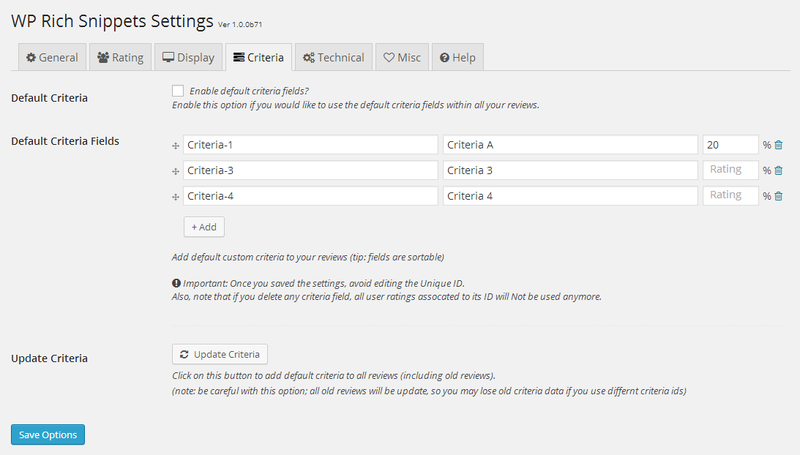 Also, the Update Criteria button will add the criteria fields to all reviews. This section allow you to control the plugin’s scripts and styles loading, and some other technical settings. Join our mailing list to receive the latest news, tips, discounts, and more from our team.